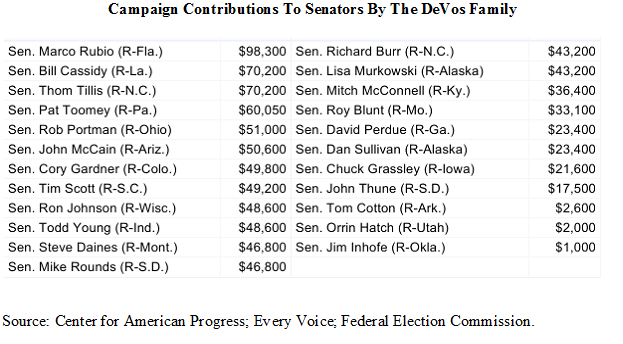 The Senate voted early Friday to advance President Donald Trump's education secretary nominee Betsy DeVos to a final confirmation vote, which is expected Monday. . . .
Who says you can't buy a cabinet position? All of the above, with the exception of Murkowski, voted to support DeVos.